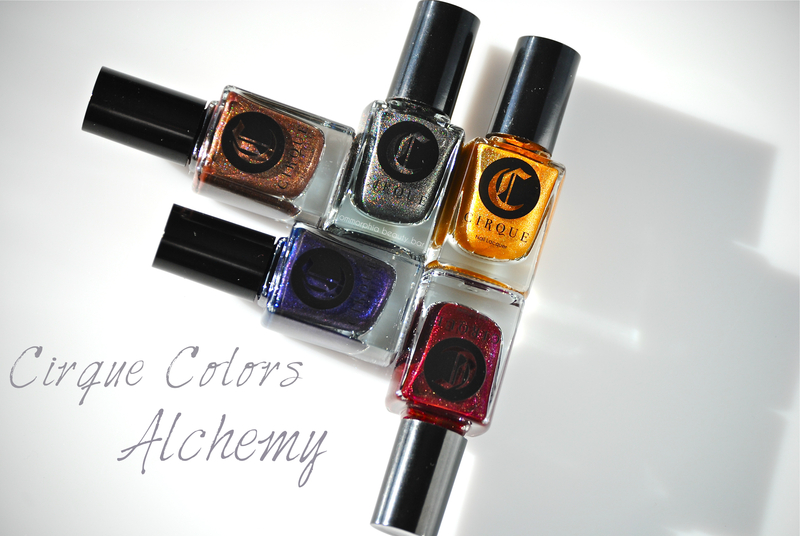 The realm of the occult and medieval experiments in alchemy is the inspiration behind this latest manifestation by Cirque Colors, and as these are subjects that have captivated me since my earliest memories – combined with my love of nail lacquer – all I can say is that this collection pushes all the right buttons for me. Every.Single.One. If you’re unfamiliar with this artisanal brand, then you’re in for a wonderful experience: with each hand-made batch, founder Annie Pham actually does seem to create magic, combining pigments and finishes in unique ways using only the finest ingredients, and leaving no detail overlooked – from the logo, bottle design, packaging, and imagery. Another little-known fact, is that each shade is scented with essential oils of lavender and clary sage that lend a subtle (and almost mood-enhancing) fragrance to your nails once the polish dries – like I said: magic. 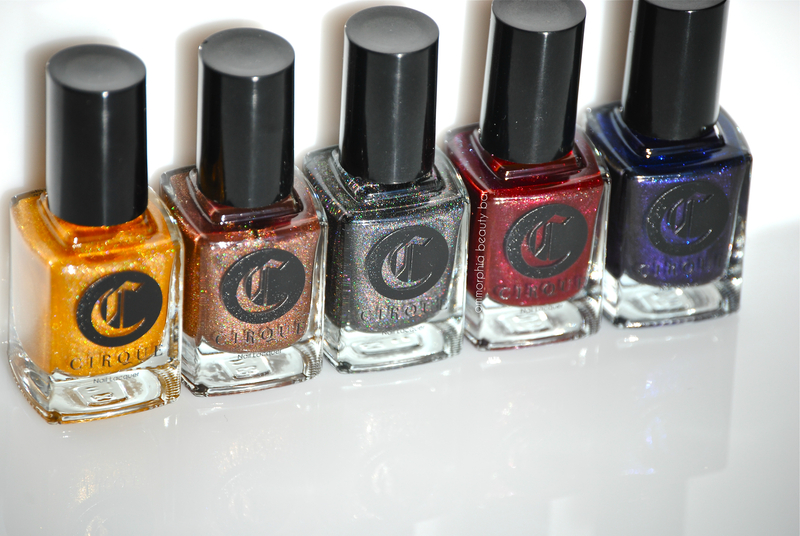 I have divided this 10-piece collection into 2 parts, the better to showcase each and every beautiful varnish. Feel free to indulge and enjoy! 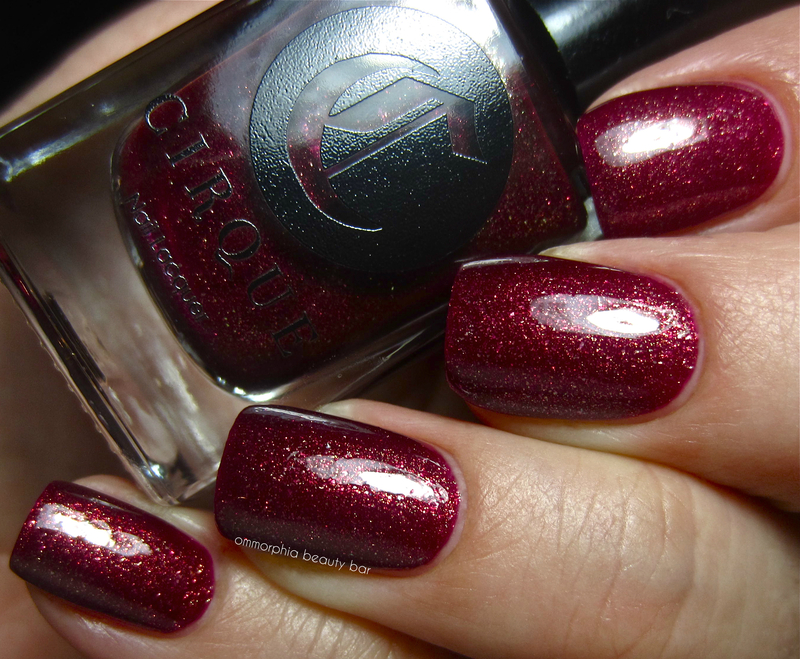 Creating something original is the rather crowded world of nail polish, is no easy feat and yet, Cirque Colors manages to bring us something new. If forced to choose a favourite amongst the 5 here, I would have to say that Baptisia takes top honours (but then again, I do have a weakness for darkling shades), with Arcane Fire and Magnum Opus not far behind. 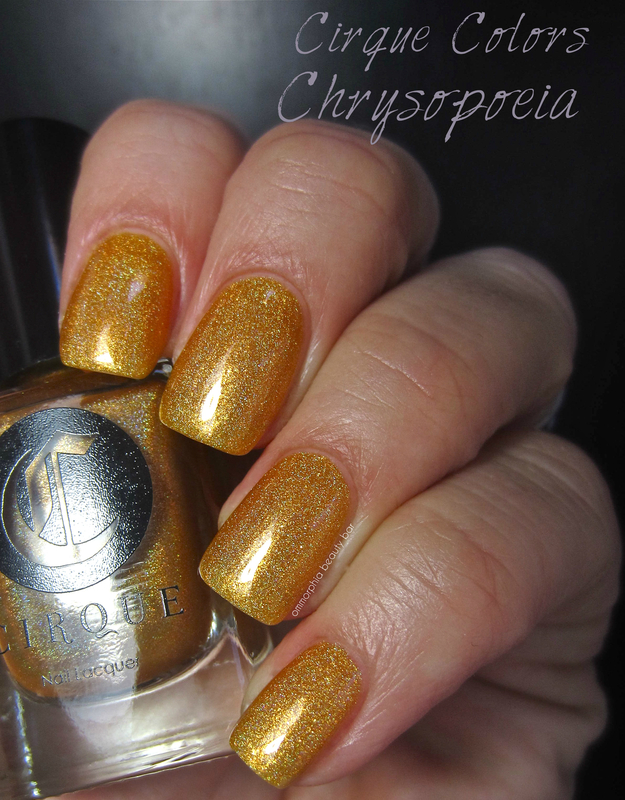 Adding a holographic touch to Mink elevates this shade from ordinary to extra-ordinary and while I was left unmoved by Chrysopoeia (It’s a personal preference: anything yellow-based really clashes with my skin tone – nothing to do with this shade), I must admit that it’s one of the most complex yellow hues I’ve seen. Stay tuned for part 2 of this collection, coming soon. 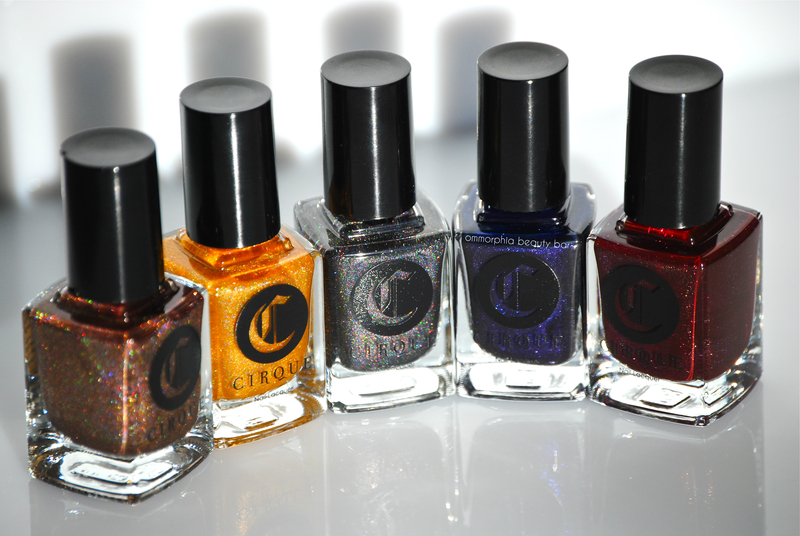 I love these shades, such a thoughtful collection. You’re so right, every detail in this brand is attended to, although I have to say, I miss the old labels. Just a small detail, I know, but that’s just my preference. I think I need the entire collection, and I’m saying that without seeing your part 2 yet! Thanks so much for the kind words, Nancy! As far as the labels go, Annie decided to make the change (grudgingly, I might add) because some stickers were not adhering properly and her helpers were all getting finger cramps from adding them to the bottles, lol! Looking forward to sharing part 2! MUAHAHA. 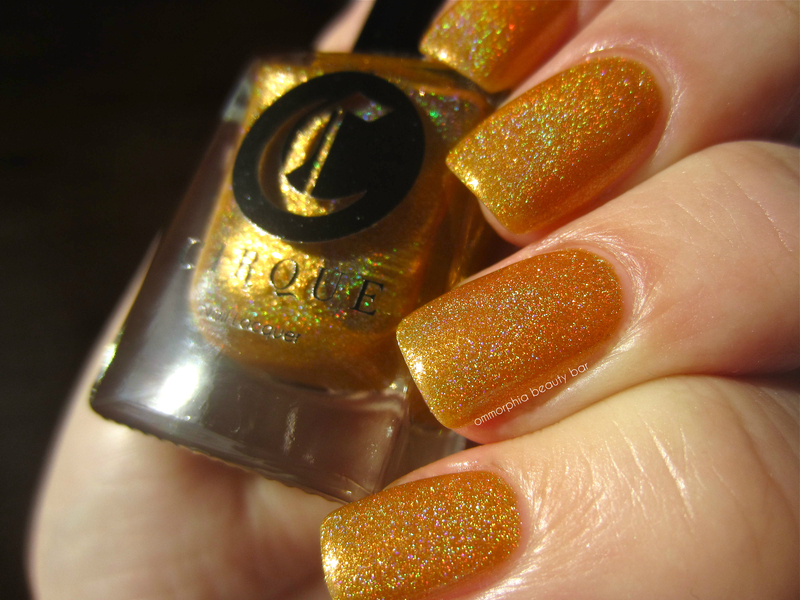 For the first time, your gorgeous swatches have not inspired a lemming! 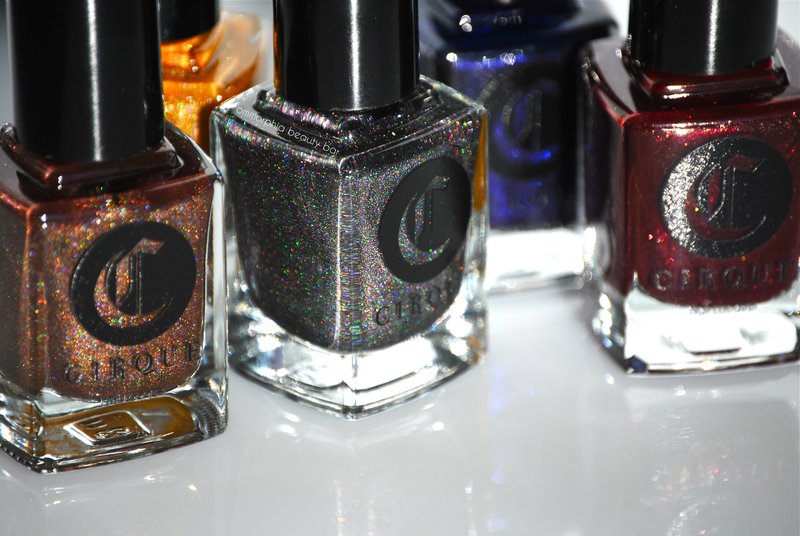 Mostly because…I’ve already bought the shades I wanted from this collection, LOL. I have Mink and Arcane Fire and they are LOVE LOVE LOVE. HAHAHAHA! You’re so wicked, my friend…that’s probably why I love ya! 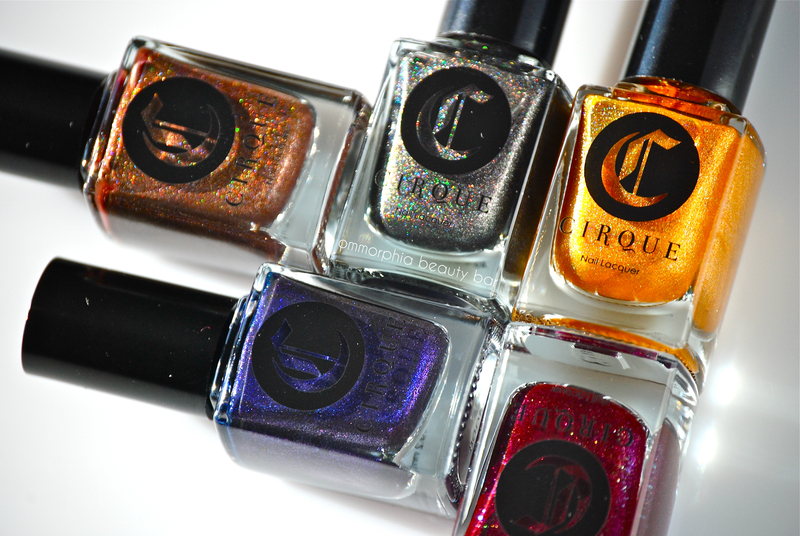 I’ve been hopeful that you would review this newest collection from Cirque and so am thrilled to read about your experience with these fantastic polishes. 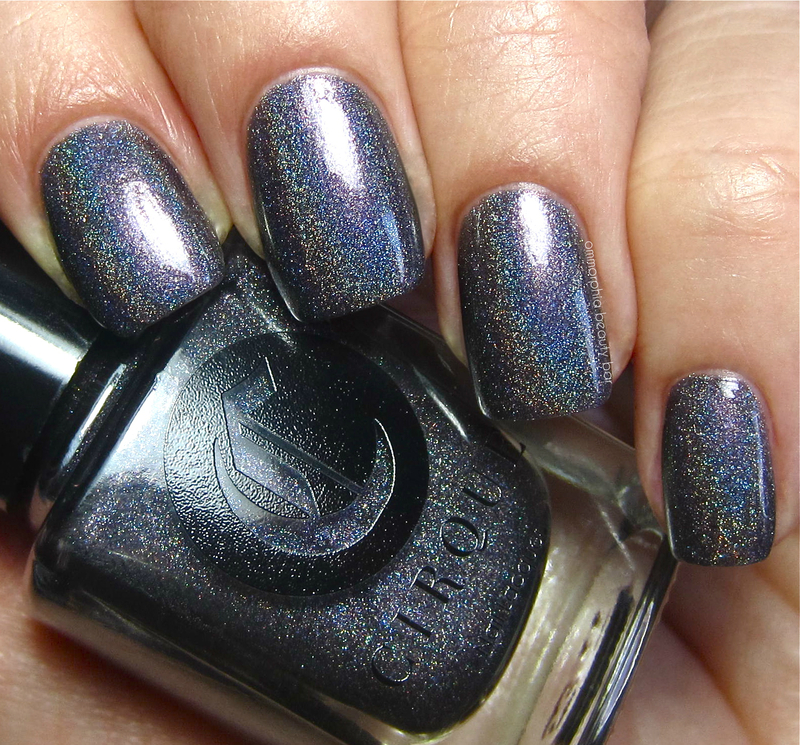 I love seeing your nail polish reviews with your precise and elegant swatches and excellent photography but most of all I love to read your descriptions, so beautifully calibrated and expansive, and your reactions to each polish. Your thoughtful, carefully written text is a gift to all of us who enjoy your wonderful blog! 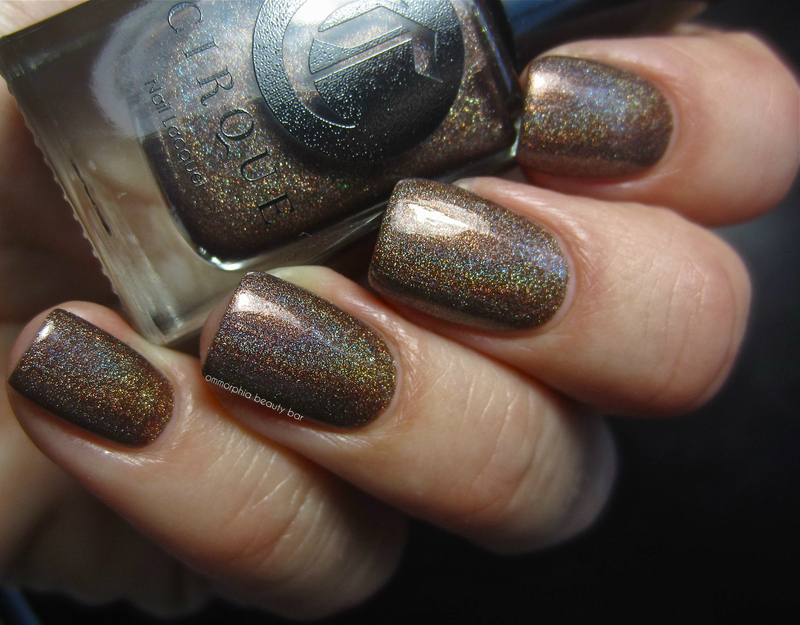 My favorite of these polishes is Arcane Fire. 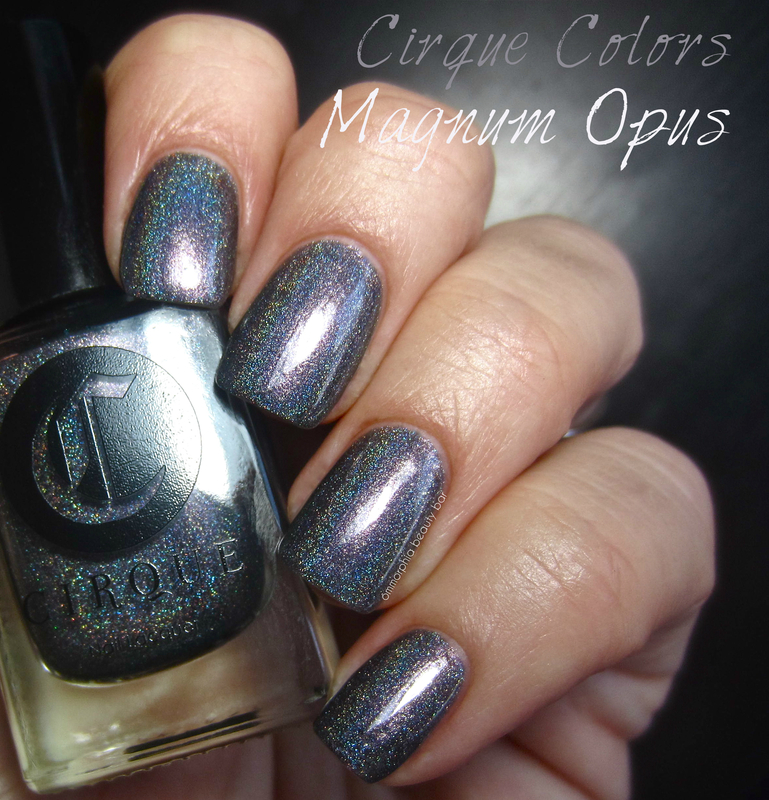 It has that particularly Cirquean appeal where the closer you get to it, the more you fall under its spell. Resistence is futile! Thank you so much for your eloquent & thoughtful comment, Liz – your words really touched me and make me so grateful that this blog has led me to connection with people like yourself! And the Trekker in me absolutely loves your last line – resistance is futile, indeed! Wow…I need these in my life! Thanks for the beautiful swatches!! 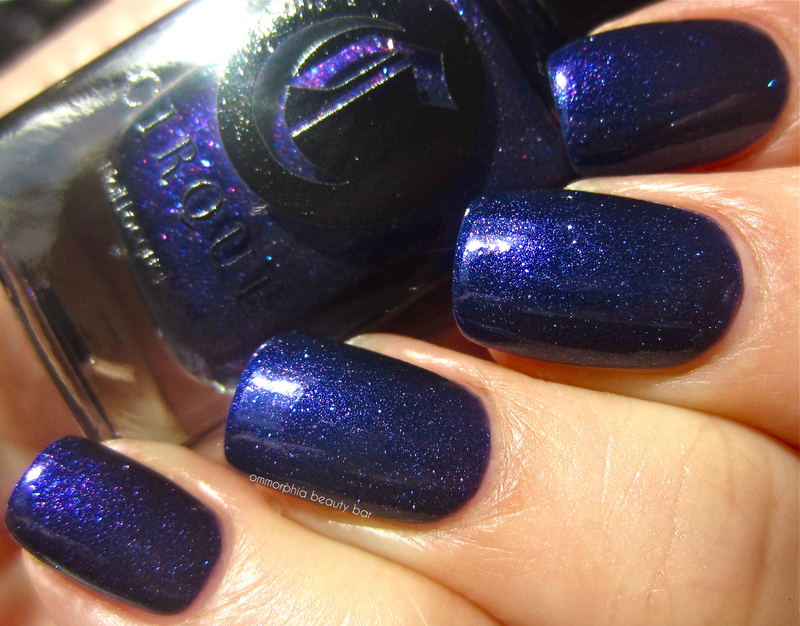 Love these shades! And the NAMES. 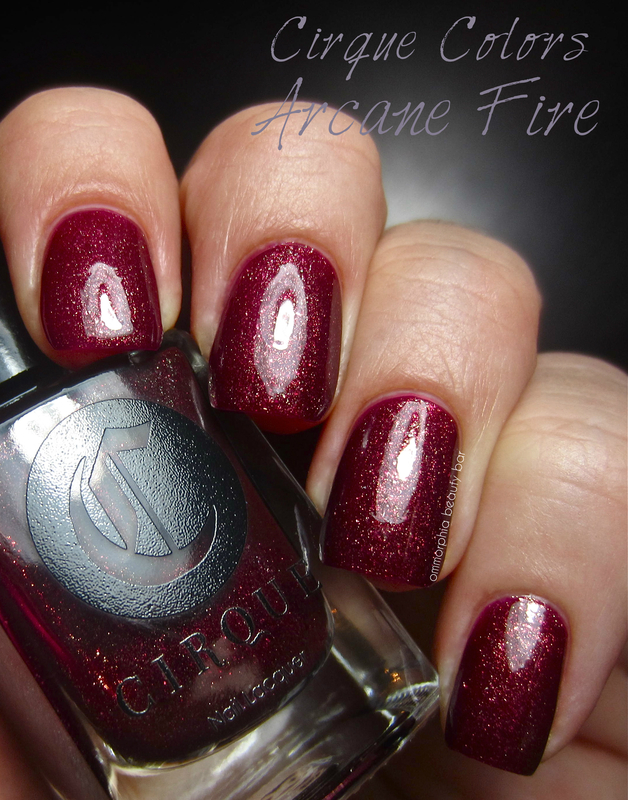 Arcane Fire is my fav, although I don’t like reds, but it’s special. The names…I know, right? 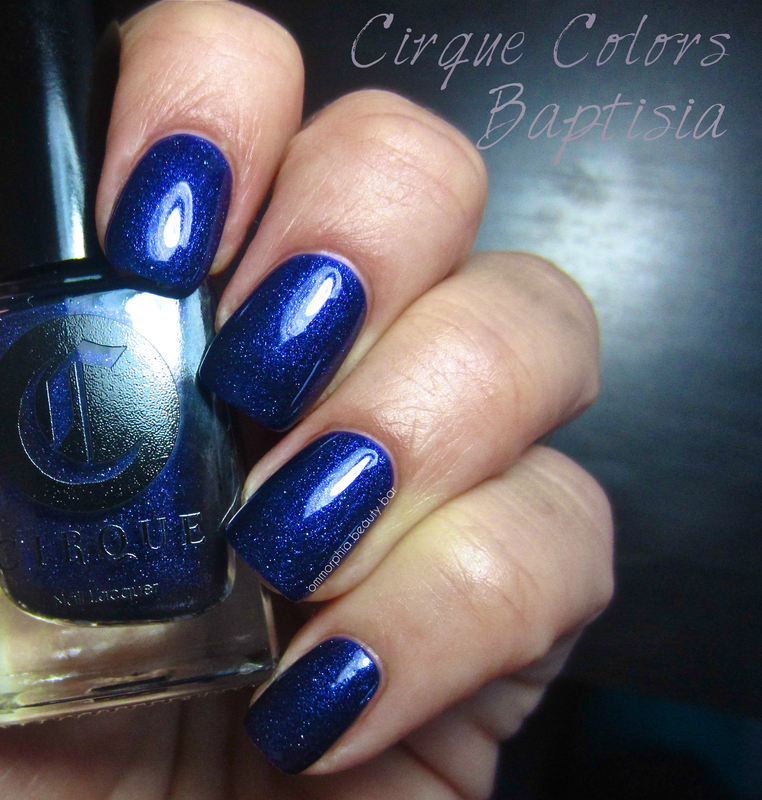 There’s not one shade of Cirque’s whose name I don’t love! I wasn’t sure if people were aware of the essential oil connection, so I wanted to point that out! Hahahaha! I figured as much!! !